In their work, Krishnamoorthy and Lifflander seek to improve application performance via cache locality optimization, where data remain in cache between consecutive uses of a data region across function boundaries to reduce reuse distance and improve memory hierarchy data reuse. They created an algorithm that generates a fork/join parallel program automatically. Then, they combined a depth-first execution of a nested fork/join program and a dependence-driven task-graph scheduler. The entire cache optimization strategy is designed to work in the context of a random work-stealing scheduler. A synopsis of their paper is now available online. PLDI is the premier conference for programming language research. This year, only 47 papers were accepted from 322 submissions, roughly a 14.5 percent success rate. 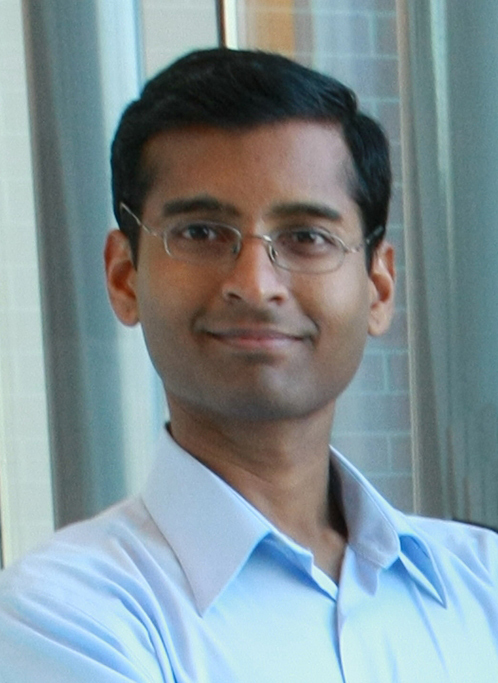 Notably, Krishnamoorthy and Lifflander co-authored an earlier paper, “Steal Tree: Low-overhead Tracing of Work Stealing Schedulers,” showcased as part of PLDI 2013, that serves as a precursor to their current cache locality optimization work. In addition, they were co-authors of “Scalable Replay with Partial-Order Dependencies for Message-Logging Fault Tolerance,” which earned the Best Student Paper Award at IEEE Cluster 2014. Lifflander J and S Krishnamoorthy. 2017. “Cache Locality Optimization for Recursive Programs.” To be presented at the 38th ACM SIGPLAN Conference on Programming Language Design and Implementation (PLDI 2017), June 18-23, 2017, Barcelona, Spain. Lifflander J, S Krishnamoorthy, and LV Kale. 2013. “Steal Tree: low-overhead tracing of work stealing schedulers.” In Proceedings of the 34th ACM SIGPLAN Conference on Programming Language Design and Implementation (PLDI ’13), June 16-19, 2013, Seattle, Washington. ACM, New York. DOI: 10.1145/2499370.2462193.